When modern life grinds you down, how do you stop worrying and really start living? Hunched exhausted at his computer one ordinary Monday morning, world-class workaholic Nick Thorpe has reached the end of his tether. Fearing for his health and family life, he knows something has to change. But where to start, when trying too hard is part of the problem? 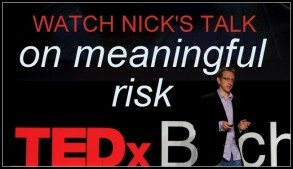 Ditching his self-help books, Nick makes a bold resolution: he will spend a year learning to let go. Beginning with a plunge off a Cornish cliff, he is soon experimenting with wing-walking, clowning and a revealing weekend at a naturist convention. But the more he tries to loosen up, the bigger the questions: can you relax if you’re not in control? Is true contentment just a habit of mind? 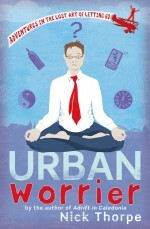 From a school where pupils make the rules, to meditation in New Mexico and rafting in Sweden, Urban Worrier charts a humorous and often moving quest for the ultimate modern grail: how to find balance and fulfilment in today’s high-speed world.